It's been a while since my last Meme Monday post, but I am back with another Memebox unboxing. Today's unboxing is on the Valentine's Day #1 Gifts For You box. It's actually a little different than the usual meme Monday unboxing, because today's post will have 2 opinions, mine and my mom's. We actually got this box a while ago but haven't gotten around to blog about it until now. 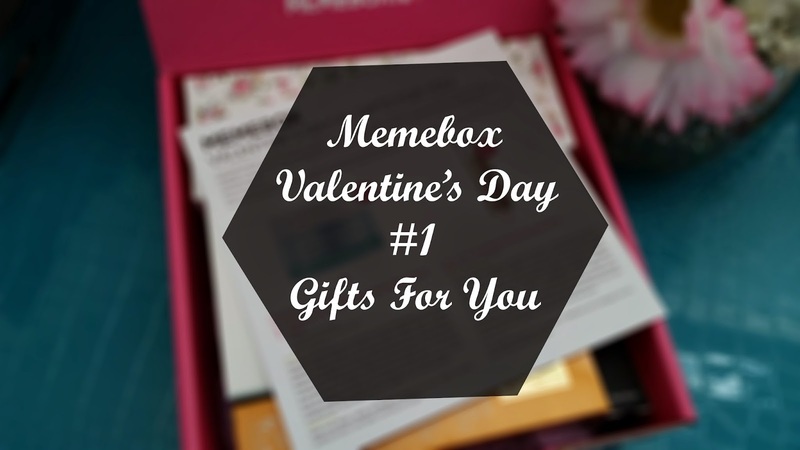 Memebox was the company that introduced mom and I to brands that we've never heard of before, brands that we've tried and fell in love with, and brands that are so unique and amazing, we wish we discovered them sooner. 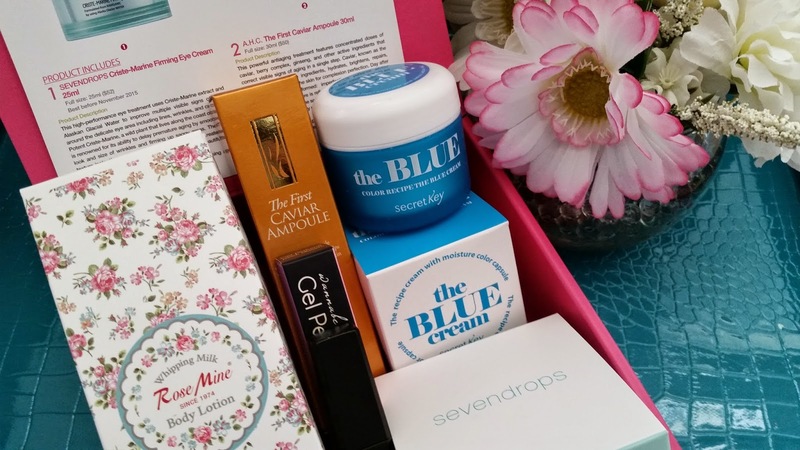 From skin care to makeup and hair care to body care, their boxes had it all and we had an rollercoaster adventure experimenting all the new products in the boxes we purchased. However, Memebox has changed. In many ways they are no longer the company they started out as. They are learning, growing, and changing. We can only hope that this is just an awkward teenage phase where they are trying out all their options and eventually this phase will pass and they will come out as something amazing. Anyways, let's dig into the Valentine's Day #1 Gift For You box and see all the goodies that came in it. If you are new to Memebox, they are a Korean beauty box company that sell non-subscription beauty boxes as well as Korean beauty products. They also have their own line of beauty products as well. Their boxes contain full size and deluxe size products that are shipped from their US headquarter. I wrote a comprehensive Q and A post about them not too long ago, so if you would like more information on Memebox, you can check it out. Product Description: A stylish and lovely gel perfume that will take you on a romantic getaway with pleasant peach and crisp floral notes. It's portable and easy to use, plus the gel perfume goes on clear and won't leave any sticky residue behind. 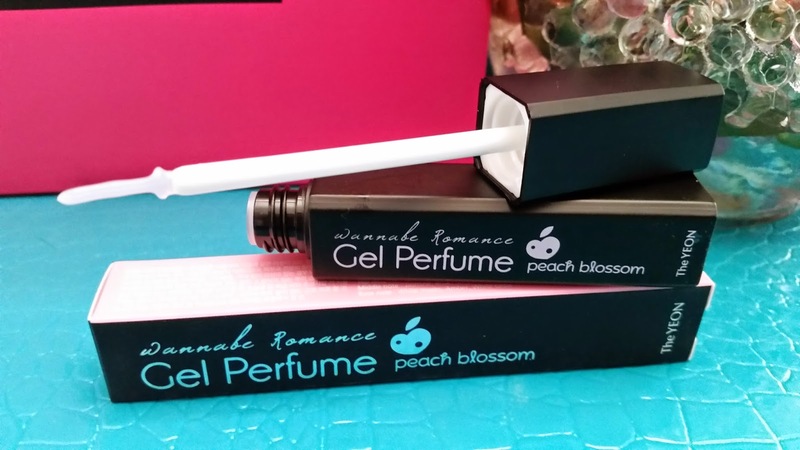 This Peach Blossom Gel Perfume's top notes are freesia, Seville orange, jasmine tea, and grapefruit. Its middle notes are jasmine, rose, magnolia, and white peach. And its base notes are white musk, amber, and white cedar. This gel perfume can be used on wrist, hair, and body. To use, take a small amount of the gel perfume and massage it onto wrists, hair, and body. Our Thoughts: Believe it or not, I was really excited about this product. Mom and I saw the spoilers before we received our box and she said that I could have it because she wasn't interested in it. That is, until we got our box and opened it, suddenly she changed her mind. We've never used a gel perfume before, so it was new and interesting to us. I love the packaging for this perfume it's simple and chic, while mom is indifferent about the packaging. We both love the scent (which was what caused my mom to change her mind on this product) and it's perfect for daily wear. The Yeon's Wannabe Romance Gel Perfume line has 3 different types. Aside from the Peach Blossom, there's also the Petit Love and Secret Flower. The Petit Love's top notes are grapefruit and green note, its middle notes are Iris and Bulgarian rose, and its base notes are heliotrope and musk. As for the Secret Flower, its top notes are lemon, tangerine, orange, and violet blossom, its middle notes are orchid, rose, magnolia, and plum, finally, its base notes are white musk, vanilla, and blackberry. Both gel perfume sounds like it would smell amazing and its packaging are cute and chic as well, so we know we want to buy the other two in the future! Product Description: A rich and lightweight body lotion that delivers the perfect level of moisture to the skin. Its rich formula is made with mango seed butter, rose water, rosehip seed oil and more to replenish lost moisture on the skin. 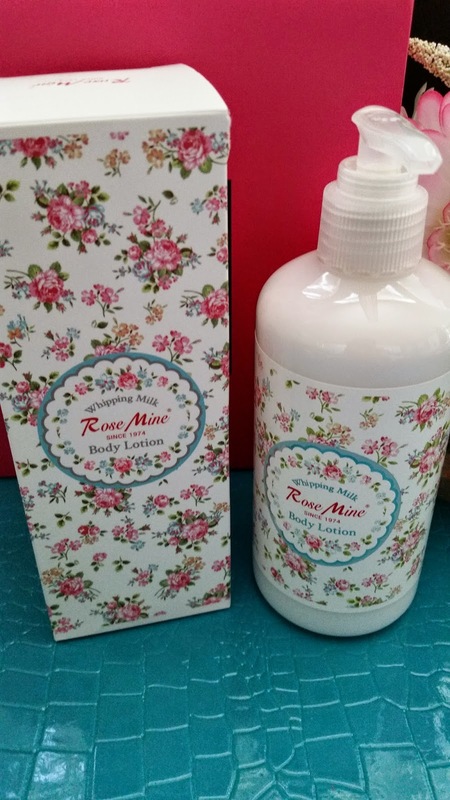 The lotion itself is silky and never greasy and it has a passion fruit fragrance. To use, take an desired amount of lotion and massage it into the skin. Focus on dry areas. Our Thoughts: We were not expecting to get a lotion in this box, much less a lotion this size. I'm sure one of us will use it in the future since we go through lotion as fast as hand cream. Like hand creams, unless the body lotion smells absolutely horrible or its got some ingredients we do not like, we will use it. 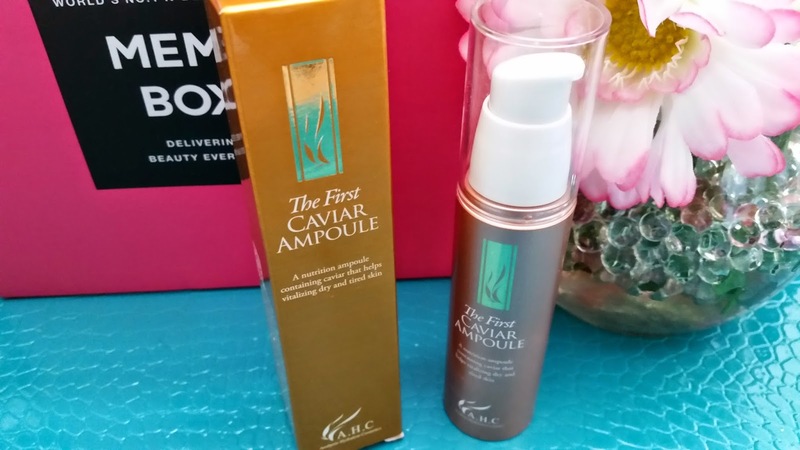 Product Description: A powerful anti-aging ampoule formulated with caviar, berry complex, ginseng and other active ingredients known to correct visible signs of aging. Caviar is known as the diamond of all skin care ingredients. It hydrates, brightens, repairs, protects, and nourishes the skin to create the perfect complexion. Use this ampoule everyday to see skin imperfections and wrinkles diminished, skin texture refined, and complexion becoming more radiant. The ampoule has a smooth and soft texture that melts onto the skin for a natural and luminous result. Use on clear skin, take 2 to 3 pumps of the product and massage it into the skin. Follow up with a moisturizer. Our Thoughts: We've gotten quite a lot of A.H.C. products in our past Memeboxes. Some are really unique, others not so much. To name a really unique one, it would be the AHC hologram Active Gen Serum, which mom likes a lot. I think this Caviar ampoule would fit in the somewhat unique pile. I have tried a skin care product with caviar as a main ingredient before and although it was only a sample, I really like it. However, since I don't worry over signs of aging (although I do use products with SPF everyday to prevent aging caused by sun damage and facial creams that help to prevent aging in general) this ampoule will be tried by my mom, which she is really excited for. She'll do a review on it in the future! 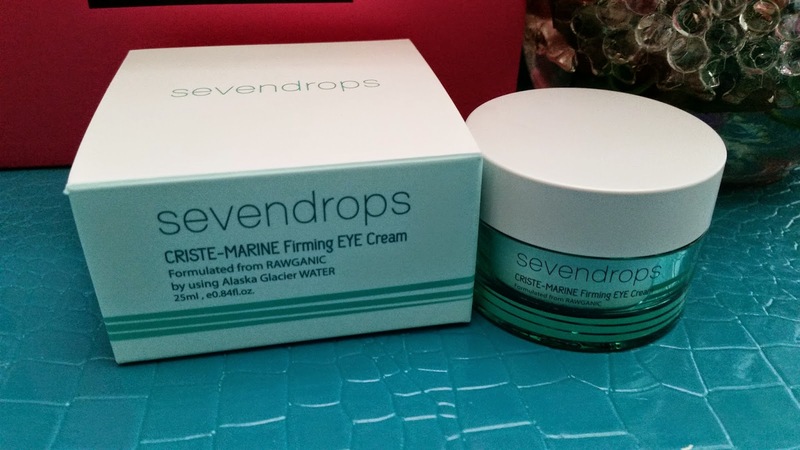 Product Description: An unique eye cream formulated with Criste-Marine extracts and Alaskan glacial water to improve visible signs of aging around the delicate eye area. The Criste-Marine is a wild plant that lives along the coast of the sea. It is known for its abilities to delay premature aging by smoothing the look and size of wrinkles and firming up saggy areas. The eye cream has a velvety texture that instantly nourishes the skin and revitalizes it as well. It can provide the skin with a youthful look, making the eye area appear firmer, brighter, and more beautiful. To use, take an appropriate amount and apply sparingly to the eye area with the ring finger using a gentle patting motion. It can be used morning and night. Our Thoughts: I am kind of picky about my eye creams, as I prefer a lightweight formula without a heavy scent, that doesn't irritate my skin and does not cause milia. Mom, on the other hand, not so picky about eye creams, as long as they don't cause milia. I would say this eye cream does not have a heavy scent but it's not light either. The scent is unique though and I think its ingredients have something to do with it. Unlike most eye creams I've used in the past, this eye cream does not have a floral, fruity, perfumey scent. To me, it smells like a mix of anise star and Asian peppercorn, with just the tiniest hint of floral scent. Which is totally not what I thought an eye cream would smell like and I kind of don't like it. I do like that the formula is not heavy and feels cooling when applied. As for mom, she too smells the mix anise star spice and Asian peppercorn, however, she does not mind the scent and she like the formula as well. She will be trying this eye cream out and reporting back on it. Final Thoughts: Although this Memebox only came with 5 products, it is still a well worth it box. We know we will be using every product in this box, so the usability is definitely there. I think the product I am most excited about is the Gel Perfume and the products my mom is excited about are the Criste-Marine eye cream and the AHC caviar ampoule. 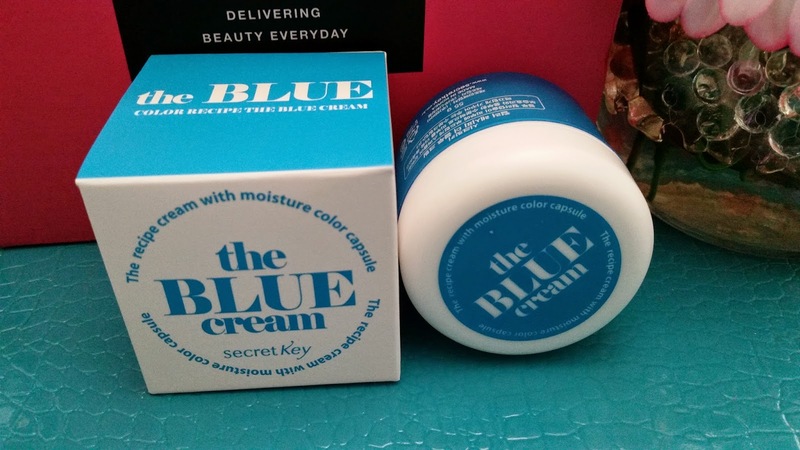 We both like the Secret Key Blue Cream and are indifferent about the body lotion. Overall, it's a pretty solid box. Hope you are all having a wonderful Monday! What products are you hoping for in future Memeboxes? Comment below and let us know! Visit the Asian Beauty Deals Page for coupon codes and deals!